Royal Enfield, the world’s fastest growing motorcycle brand, today launched its latest motorcycle - Himalayan in New Delhi. One of the most anticipated motorcycles of 2016, Royal Enfield Himalayan is available in two signature colour options—Granite and Snow and is open for bookings across all Royal Enfield dealerships across New Delhi. Bringing together 60 years of Himalayan riding experiences in a completely ground-up design, and powered by a completely new and evolved overhead camshaft engine platform that forms the base for its new long stroke LS 410 engine, the Royal Enfield Himalayan paves the way for a purer, non-extreme and more accessible form of adventure touring in India. 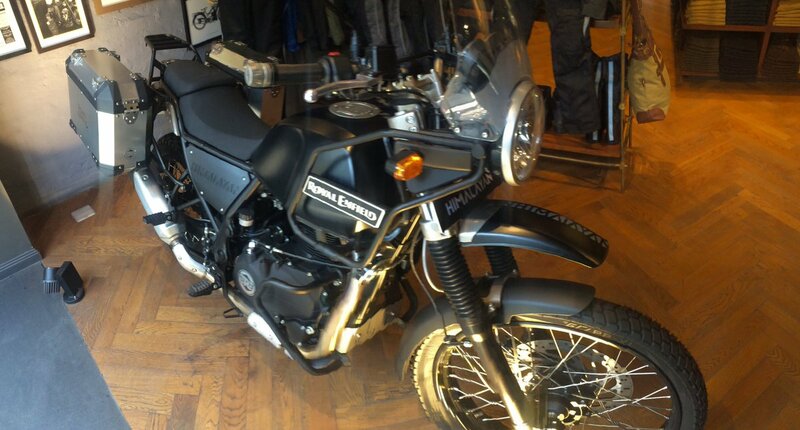 Royal Enfield Himalayan is available in Mumbai for Rs. 178,872 (on-road), Bangalore for Rs. 184,316 (on-road), in Kolkata for Rs. 181,517 (on-road), in Chennai for Rs. 175,840 (on-road), in Hyderabad for Rs. 176,580 (on-road), in Pune for Rs. 170,362 (on-road).